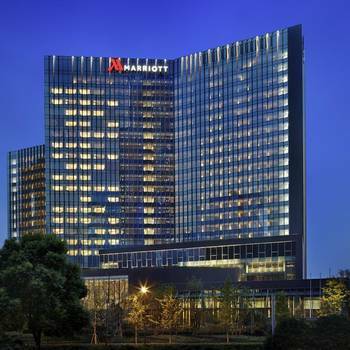 The Zhuhai Marriott Hotel is one of the newest hotels in Zhuhai, having opened in 2016. With the Jida District just 1km away, this hotel is conveniently situated. With Zhuhai Railway Station just 6km away and Jinwan Airport only 47km away, transportation is very convenient. For guests wanting to check out some of the area's tourist destinations, Lovers’ Road is approximately 3km away by car. This hotel makes a great place to kick back and relax after a long day of sightseeing. Travelers requiring pickup service can book this directly through the hotel. This Zhuhai hotel features parking on site.